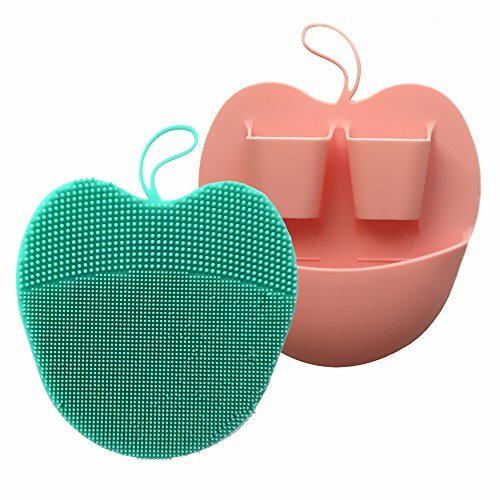 Premium Material- Made of top-quality silicone, 100% BPA free, suitable for exfoliating, relaxing and removing dead skin and toxins. 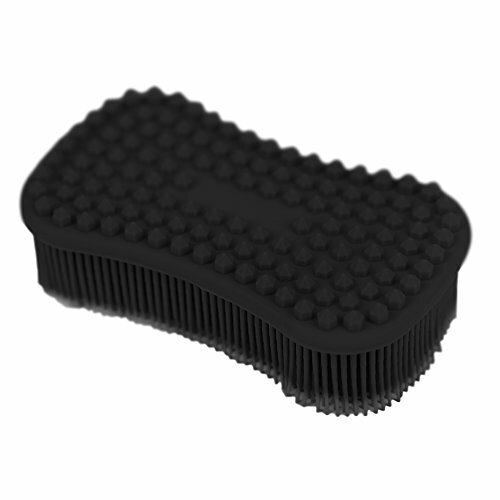 Soft Silicone Bristles- Offer added care and superior cleaning experience for your tender skin. 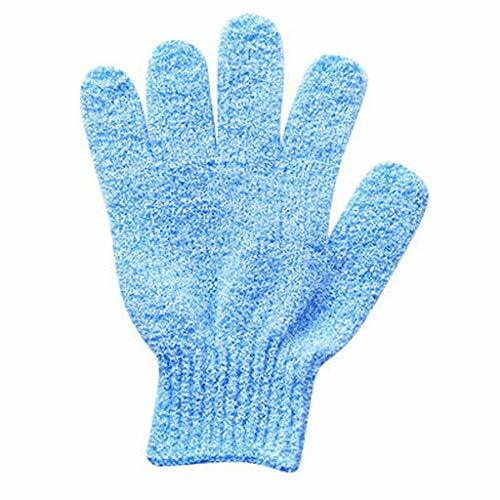 14.8" Long Handle- Provide anti-slip and comfortable grip, easy to massage and clean your back and other hard-to-reach body areas. 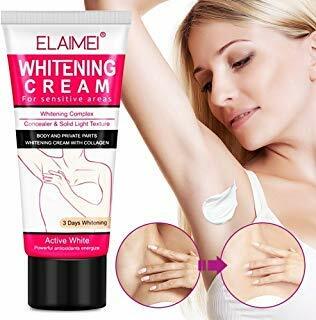 Comfortable & Health- Rub and soften skin over your full body, improve your skin's quality and leave it glowing and smooth. 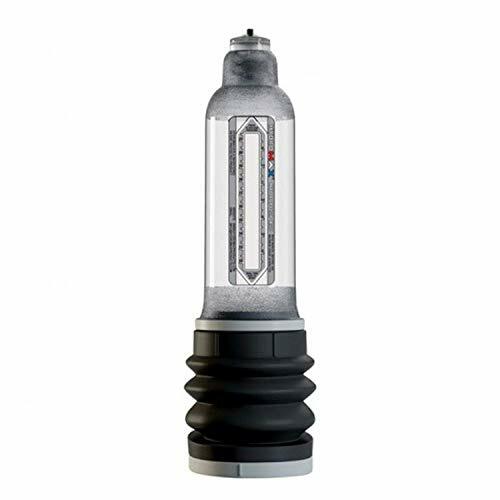 High Performance- Effectively remove the dirt and unnecessary grease, great for thorough body cleaning and massage. 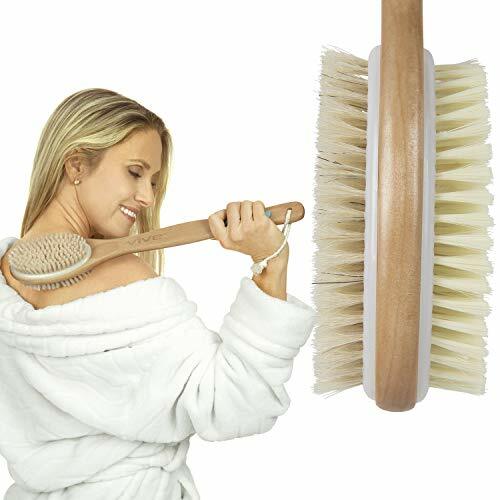 14.8" Long Handle Back Scrubber: The size of the eco-friendly silicone shower brush with long handle is designed to help reach each part of your body. At 14.8" x 3.3" this bath brush is perfect for reaching all areas of your body. 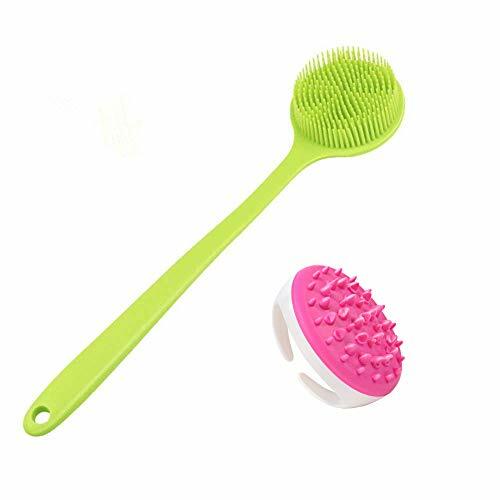 Soft Silicone Body Brush: Durable ergonomic design silicone shower body brush, it is suitable for exfoliating dry skin and cleansing the entire body. 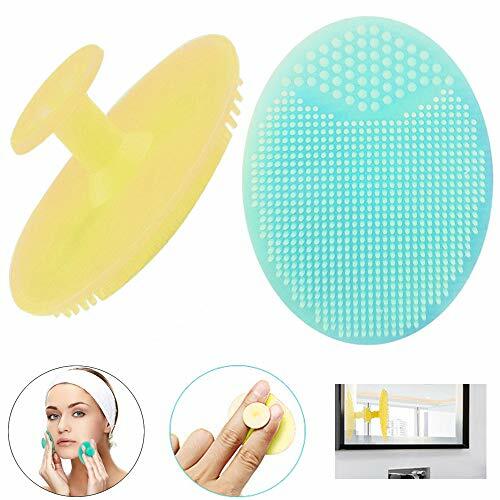 The soft silicone bristles remove dead skin leaving it feeling smoother, will never hurt your skin and good for sensitive skin, and help to deep clean your body. Now you can bath and shower with comfort. 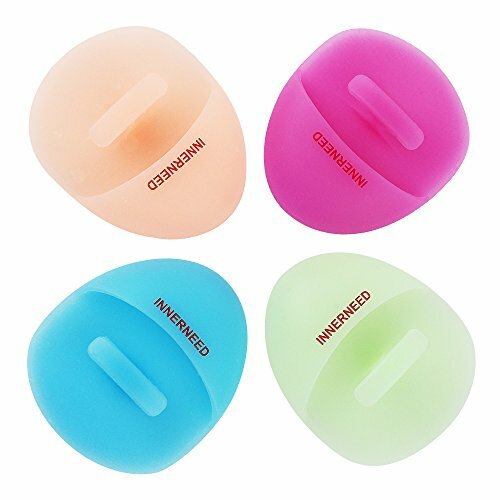 Convenience and Quick Dry: This silicone back brush design with a round hold on the end of handle, allows you to optionally hang it on any places. 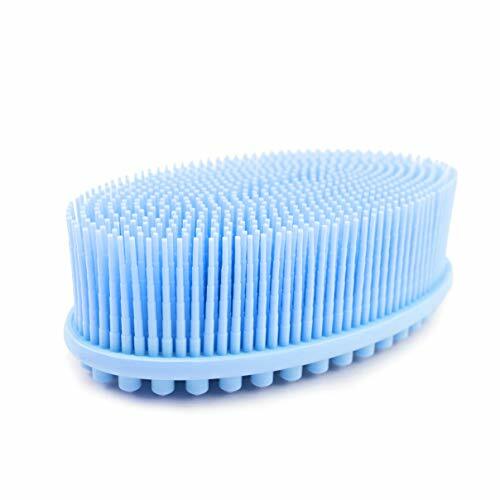 Silicone brush quick-dry than Bristles Brush, not easy to produce bacteria, not mildew. KEEP YOUR SKIN SMOOTH EVEN BEYOND AGE 50 - As seen on the Today Show featuring Elle Macpherson's top beauty secrets for keeping her body youthful after 50. 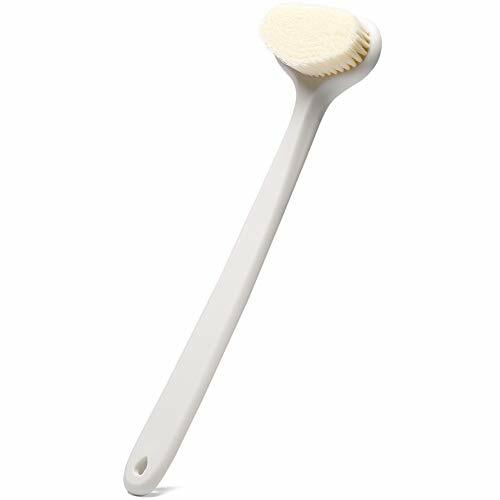 One of her favorite choices is dry brushing with our ZEN ME body brush. Using our state-of-the-art skin brush gives you the highest quality and price-value compared to other brushes. 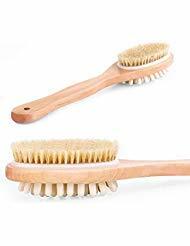 We don't use plastic to anchor our bristles instead our natural bristle brush is crafted with beautiful polished lotus wood that securely holds the bristle. SAY HELLO TO FRESH CLEAN SKIN EVERY DAY - THE NATURAL WAY thanks to regular skin brushing and exfoliation. Using our body scrubber helps remove cellulite, prevent or reduce clogged pores, ingrown hair or acne problems. Simple yet effective this body exfoliator will easily remove dead skin, stimulate skin renewal and improve circulation. FEEL MORE ALIVE - Brush your sluggishness away and get new energy for the day. 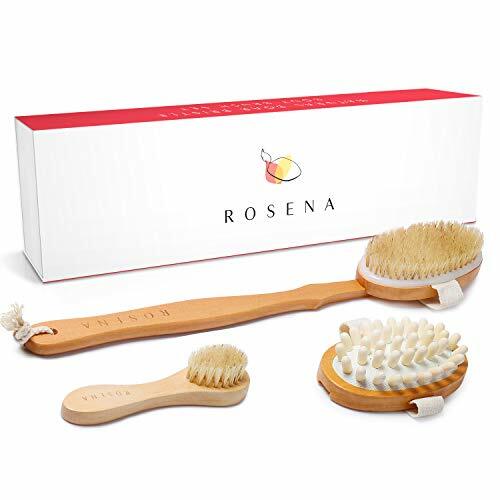 Regular dry brushing is proven to help your natural body cleanse and detox by stimulating your immune system. Find quick relief from swollen legs, feet or ankles as you activate lymphatic drainage. 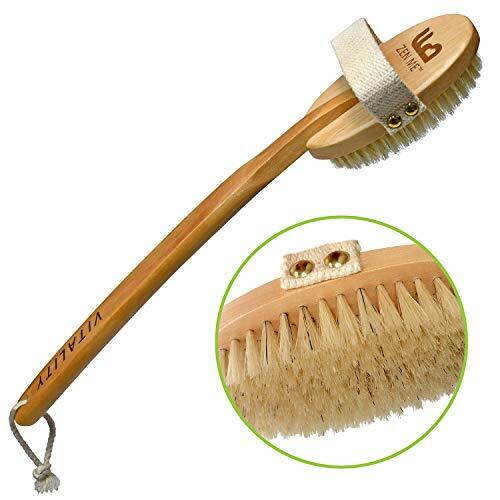 Comes with a 14" long, curved, detachable wooden handle for easy back scrubbing. 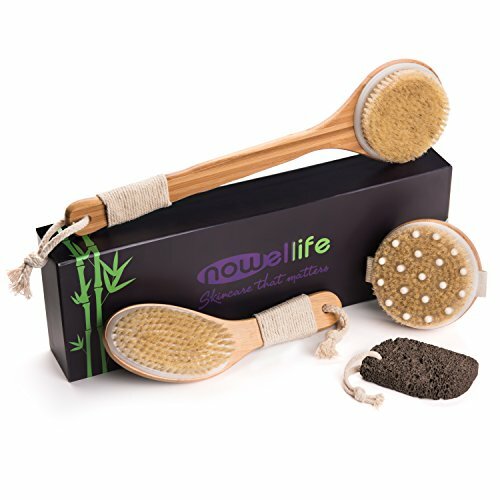 ENJOY YOUR OWN HOME SPA - Dry body brushing provides a relaxing daily moment in your hectic life while you stimulate and refresh body and soul. It's like a mini massage to increase your vitality one stroke at a time or help you with stress relief. 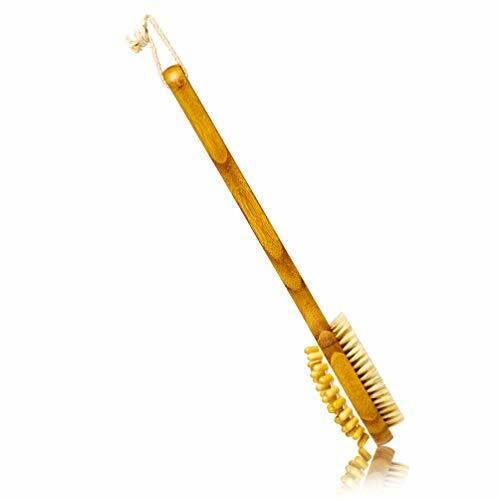 Our body scrubber has a 14" long curved detachable wooden handle for easy back scrubbing and longer curved cut bristles. 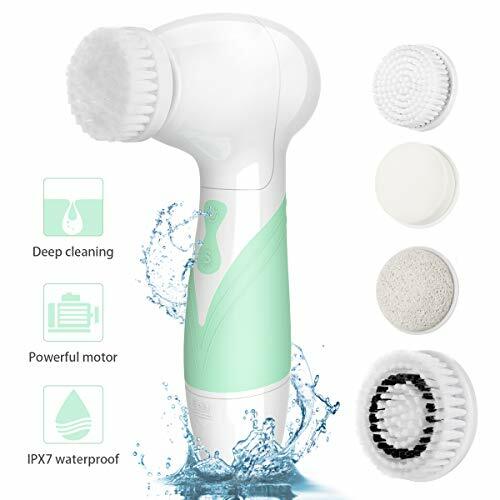 BUY WITH CONFIDENCE - Purchase this exfoliating brush with confidence knowing that this product will either work or we will refund your money. 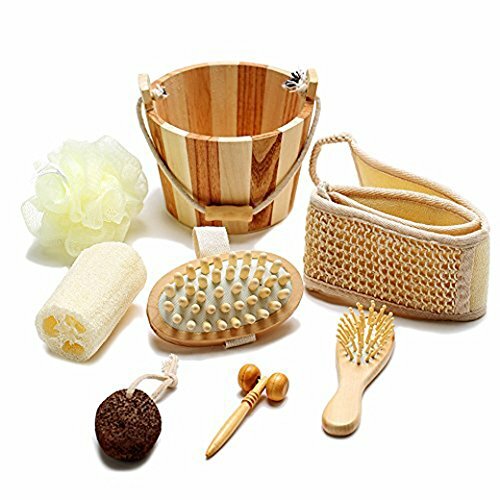 Like all ZEN ME products, this brush comes in a nice gifts box making it great self-care gifts for women. 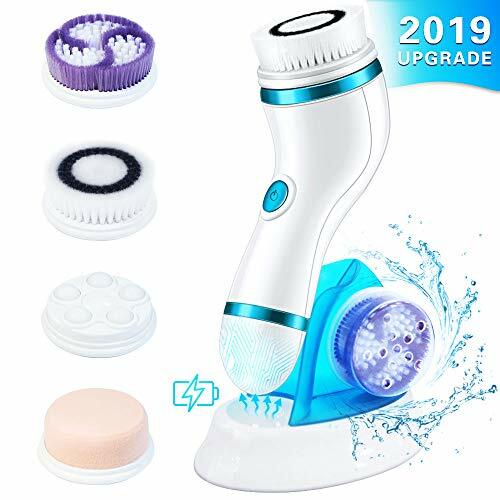 Our face brush made of high-quality food grade silicone material, which has the advantages of easy to clean, quick drying, no residue and no deformation. 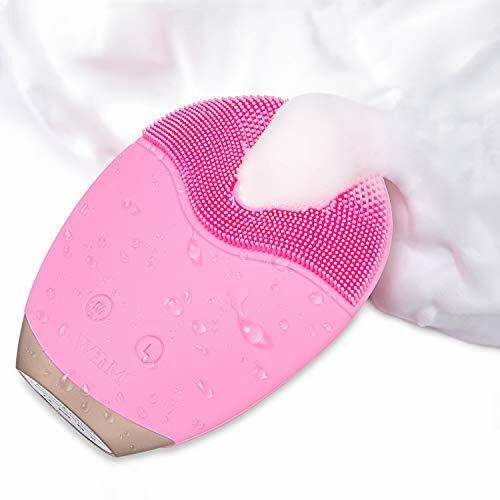 Our facial brush made of 100% natural silicone which is soft enough for sensitive, delicate or dry skin and entirely safe for any type of skin. 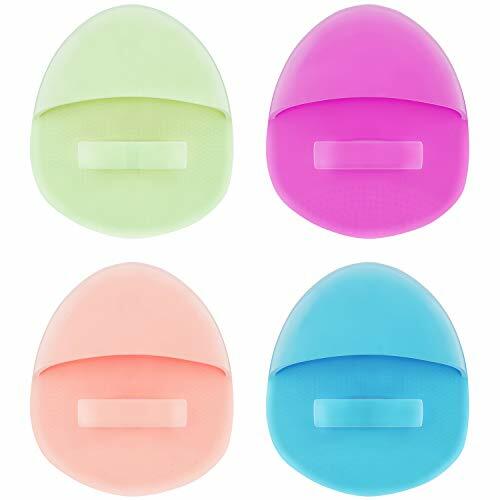 No irritation will be caused while cleaning your face with our silicone face cleanser pads. 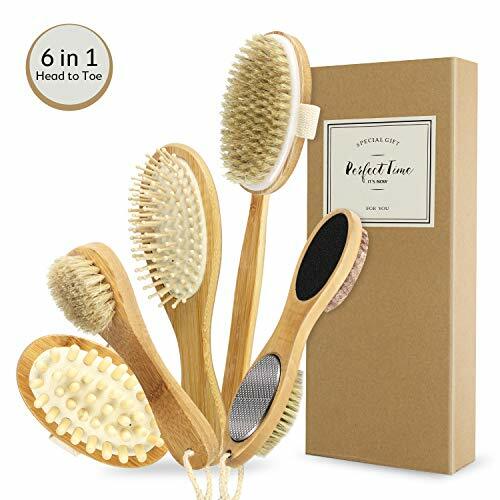 Brush side: thick and soft bristles with massage wave points area will help gently clean your pores, remove blackheads and clean away your face oil, to make your face cleaner. 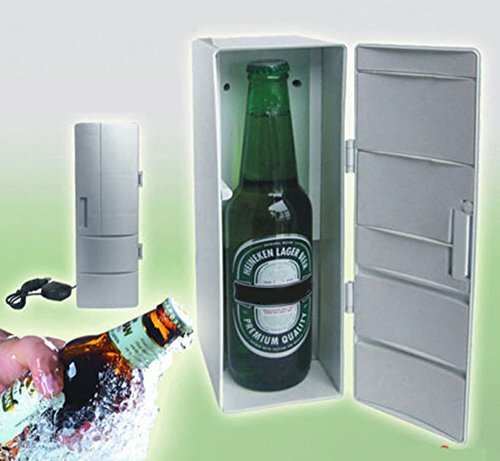 The other side: new design with a finger handle for one handheld operation, easy to hold and no need to worry the slip. 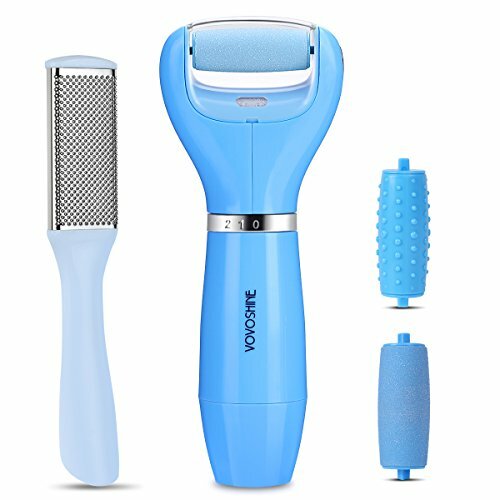 This facial scrubber clean and exfoliate your skin to open pores and gently remove impurities and dead skin. Helps soften the skin, promote facial blood circulation, improve skin absorption of cream. Pack of 4, a wonderful gift for yourself, family or friends. Small size make it convenient to carry and easier to use. 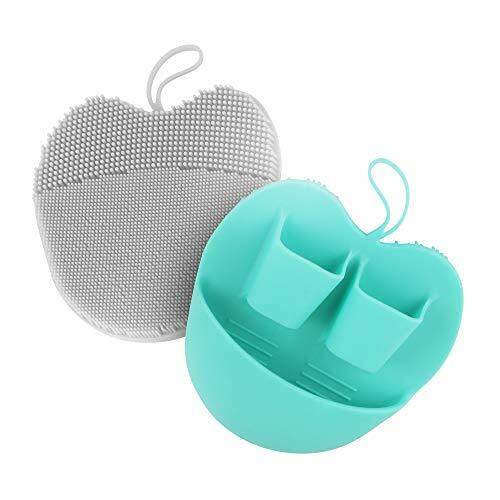 Silicone food grade material, it is BPA-free, FDA-approved, LFGB standard, easy clean, quick dry and no residue that reducing the breeding of germs. More healthy. 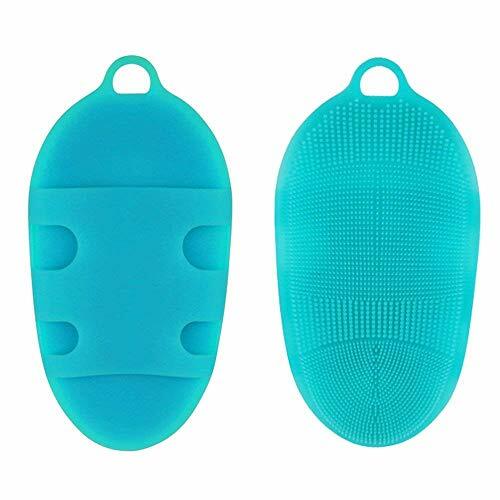 Fit for: Skin-friendly soft silicone body brush is suitable for all kinds of people especially for whom with sensitive skin. The silicone material is acid resistant and can be used with soda water, essential oils. 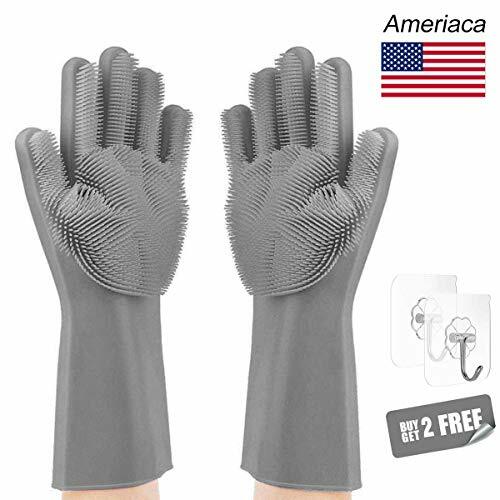 Glove design: On the back of this silicone body scrubber, there are four holes to place your fingers. There are multiple ways to hold and use the wash brush, depending on the size of your hand. 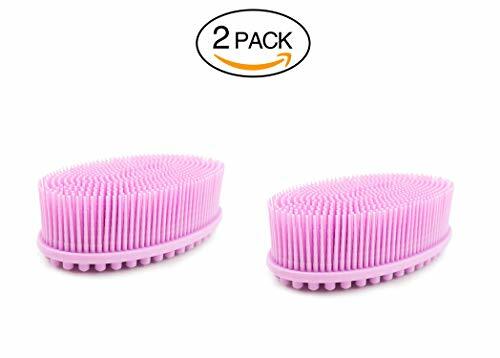 The bottom of the body wash brush has two different diameter types of bristles, 1.75mm and 1.06mm diameter, they are the reasonable distribution at the bottom of the silicone wash brush. 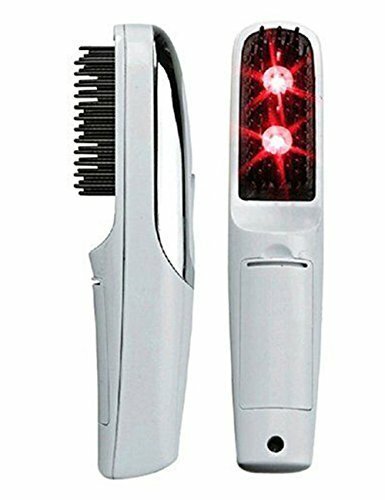 The different diameters are to ensure reasonable pressure to your lymph and meridians; The area of wash brush surface is approx. 200c㎡ - Saving you time and energy when cleaning your body. 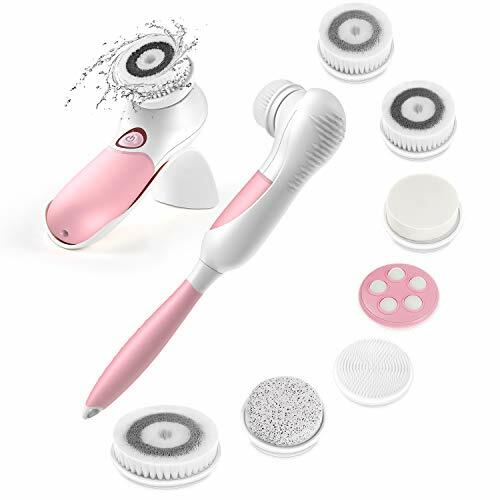 The silicone shower scrubber will give you comfortable massage feeling when you use it to scrub your body -- perfect to relax muscles, relieve stress, promote blood circulation as well as increase the elasticity of your skin. 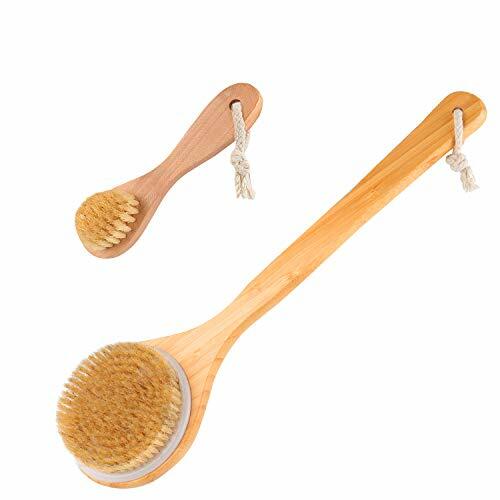 The silicone natural bristle body brush will be an essential part of your bathroom. ENJOY YOUR DAILY SELF-CARE - YOU ARE WORTH IT! 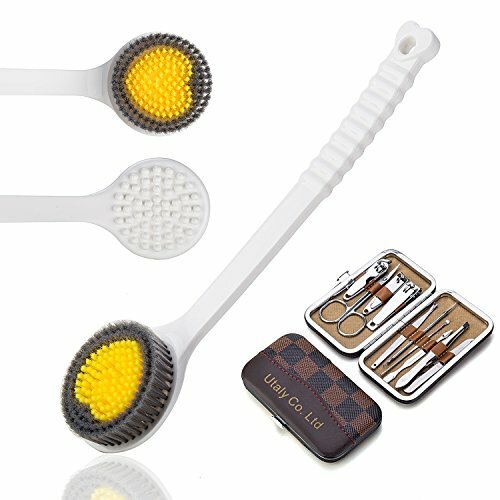 - Brushing your skin provides a relaxing daily moment in your busy life while you stimulate and refresh body and soul. It's like a mini massage to increase your vitality one stroke at a time or even relax you into the night and help you with stress relief. 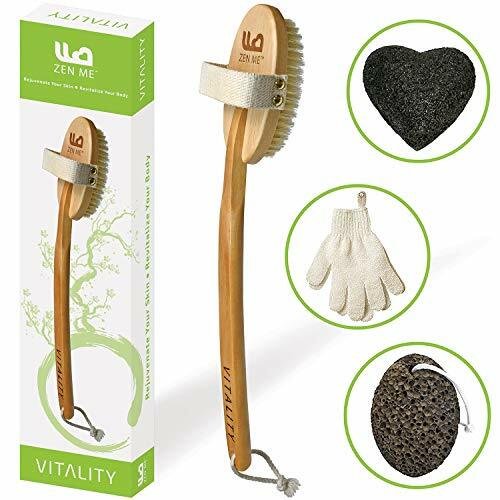 Our body scrubber has a 14" long curved detachable wooden handle for easy back scrubbing and longer curved cut bristles. &#127873 WHAT YOU NEED: Would you like a portable and effective way to clean your expensive makeup brushes without damaging them? Our Professional Makeup Brush Cleaner Mat Set is the PERFECT solution! The seven-scrubber textures are designed to clean AL types of cosmetic brushes in minutes. These mats have deeper textures and are more STURDY than similar looking mats. You'll also LOVE our NEW gift-ready packaging! &#127873 PRO TWO PCS = MORE OPTIONS: Do you put off cleaning brushes because you don't like to scrub them on your hand? 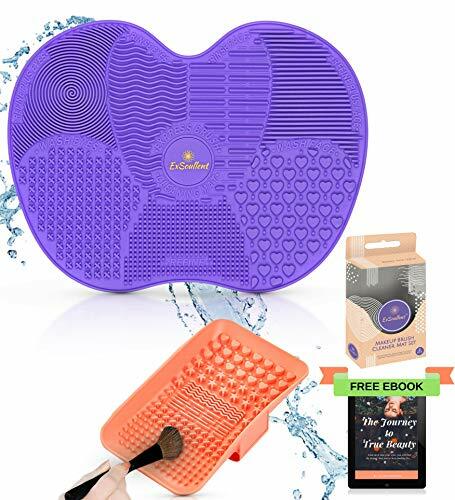 Our Brush Cleaner Mat Kit includes a big purple mat for washing multiple brushes in the sink and a handheld pad for travel or daily cleanse. This Brush Cleaning Mat Kit will provide you IMMEDIATE and best quality results. There are no batteries to charge and you don't have to worry about "over-drying" delicate brush bristles. &#127873 CLEAN BRUSHES = CLEAR SKIN: Using our cleaning mat on a regular basis will keep your makeup brushes free from germs, bacteria, makeup residue, and dead-skin cells! You will LOVE the feel of clean and soft brushes on your face. Remember to wash the brush cleaner mats after each use too. Soon, your skin should look and feel more clear. 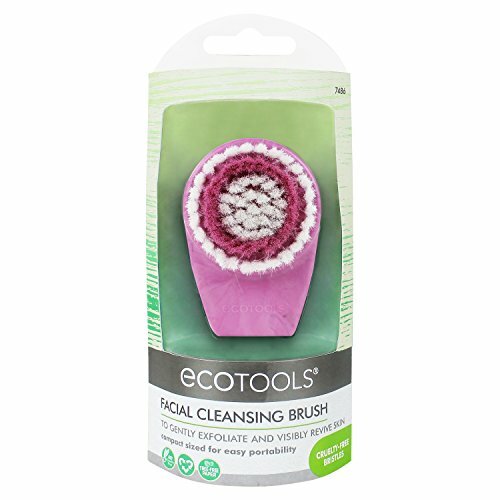 &#127873 SAVES YOUR TIME AND MONEY: Your brushes will look like new after every gentle cleansing with this great cleaner tool. With our mats, you can obtain professional results anytime and anywhere. It is designed to efficiently clean and prolong the life of your EXPENSIVE make-up brushes. 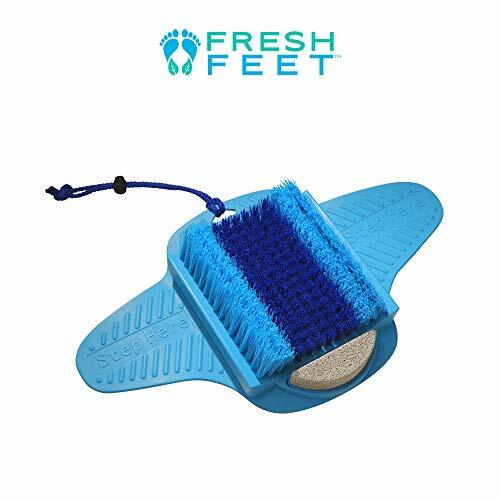 &#127873 PREMIUM & SAFE MATERIALS: This Professional Brush Cleaner Mat Set is made with high quality silicon - it is odorless, BPA Free, and non-toxic. We also made sure it is eco-friendly for the earth lovers! The mat is very flexible and can be easily folded or rolled without fear of damaging it. 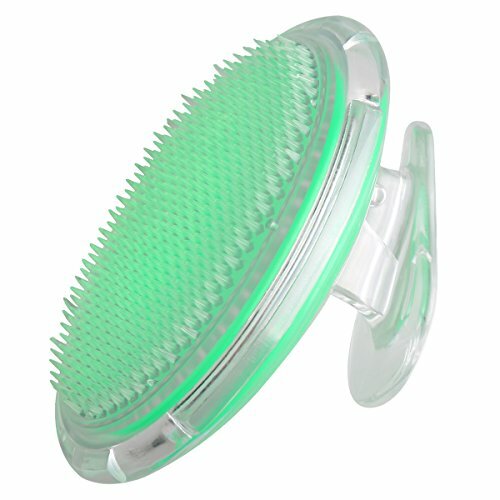 √MEDIUM BRISTLES：Skin-Friendly & Anti-Shedding & No Mess! 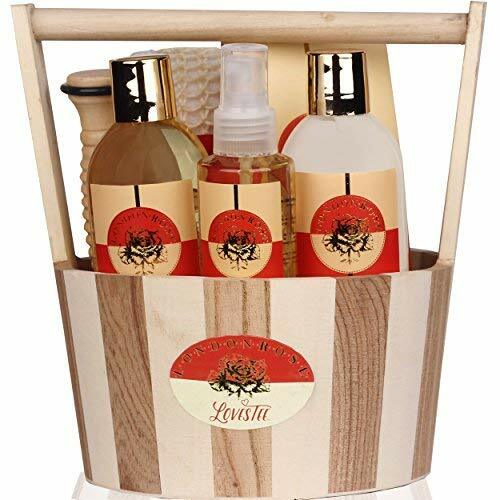 Comfortable & health -Rub and Soften Skin over Your Full Body. 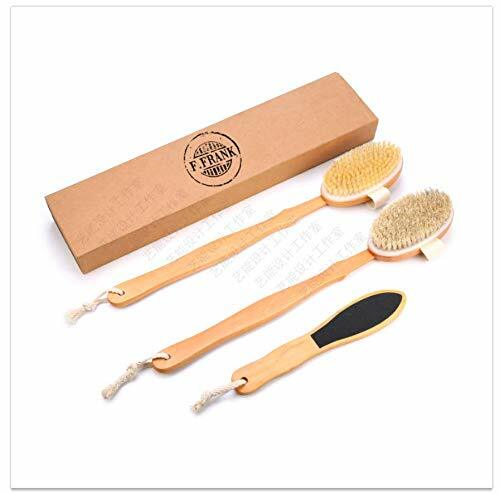 √PREMIUM MATERIAL: Bath Brush with Long Handle, NON-Mouldy & NON-Toxic & Easy Cleaning. Great with Any Soap. Easy to Hang & Quick Dry. √BEST PERFORMANCE: Sturdy & Easy Grip. 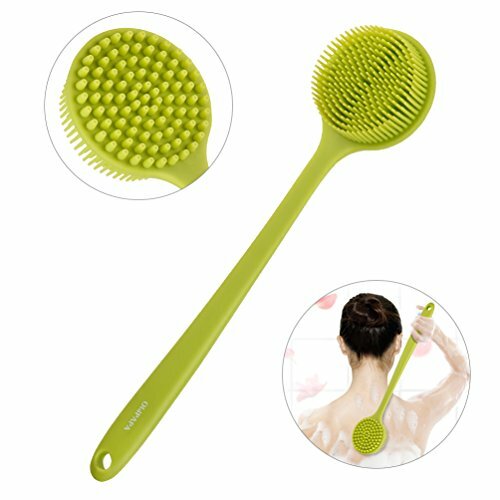 15" Long Handle Bath Brush with NON-SLIP Design. Easy to Clean Hard-to-reach Areas. 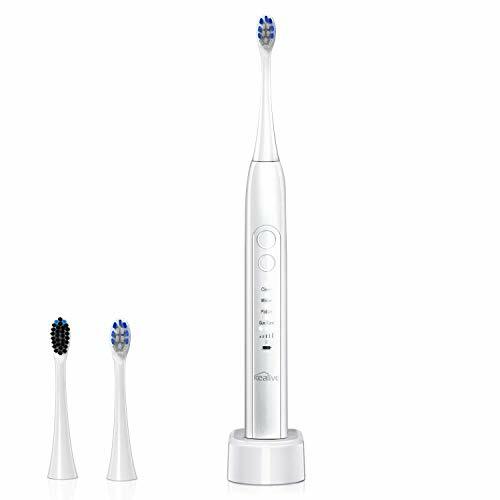 Professional Electric toothbrush: 36,000 micro-brushes vibrating per minute. Remove up to 100% more plaques and stains, emove more stains and plaque, effectively preventing tooth decay. 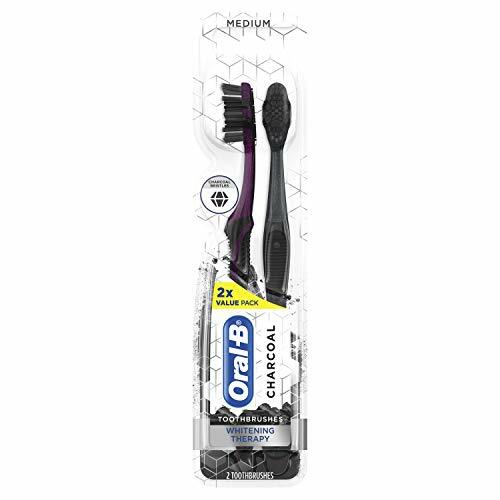 Top of the bristles is particularly oval in shape, which significantly avoids gum damage caused by brushing. 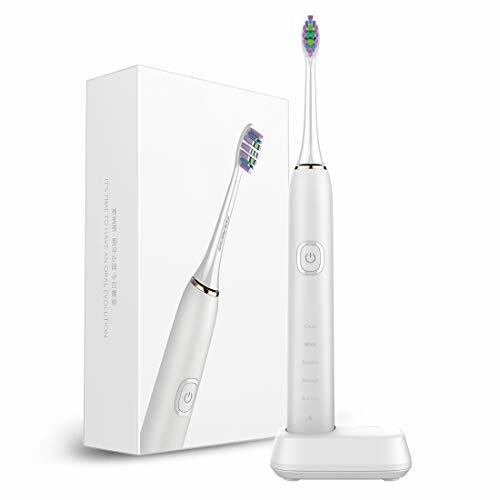 Rechargeable and durable electric toothbrush: USB charge toothbrush only takes 4 hours for a fastly full charge , lasting at least 30 days of normal usage . 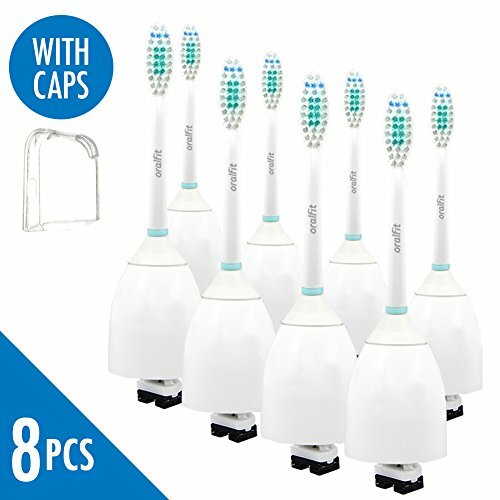 Sonic toothbrush for travel with stylish, lightweight designed and streamlined structure makes it very easy to clean and store. 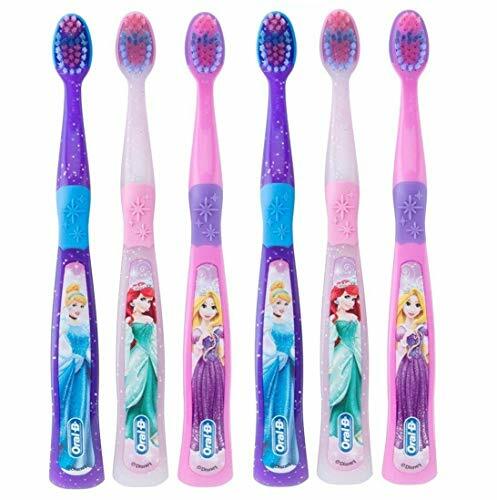 4 Distinctive Modes Toothbrushes: Modes of clean, white, polish and gum care, massage for different conditions of teeth and gums, combination of both strong mode and gentle mode for adults, children/kids. 2 Replacement Heads Included and Easy Replacement. Smart Timer Protection: Interval pause per 30 seconds reminding changing brushing area. 2 minutes auto shut off as the brush time recommend by dentist. 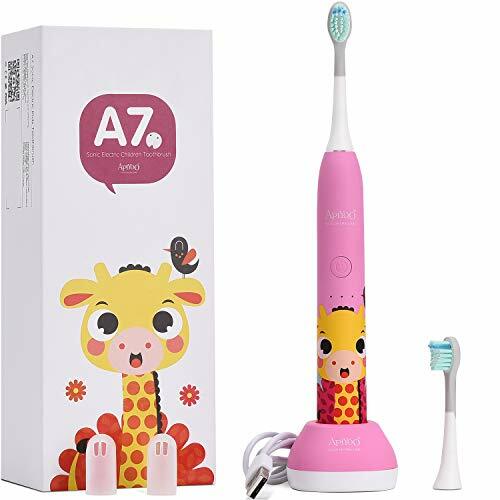 Best smart timer control electric toothbrush for adults and kids. 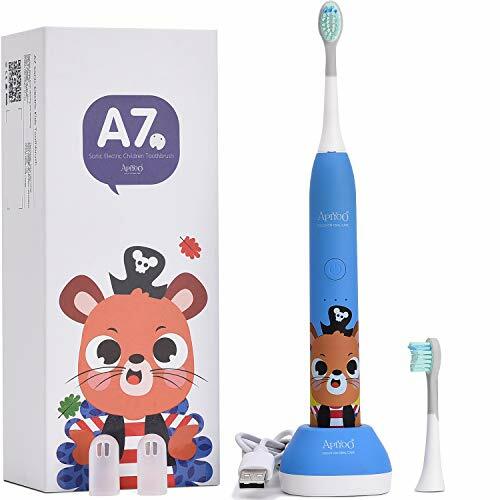 Warrenty and Guarantee: Waterproof electrical toothbrush is fully washable, which can be used in bath and shower. Enjoy 365 days warranty and 7*24 hours outstanding customer service.